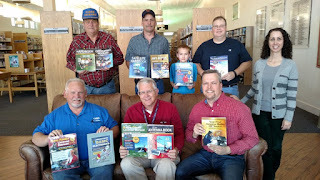 The Rusk County Amateur Radio Club donated 11 new books to the Rusk County Library on Thursday. The books, worth more than $250, cover a variety of topics including basic electronics, antenna designs, radio frequency interference and amateur radio satellites. A copy each of the American Radio Relay League's Handbook for Radio Communications and the Antenna Book for Radio Communications, both large reference-style books, were also given to the library. 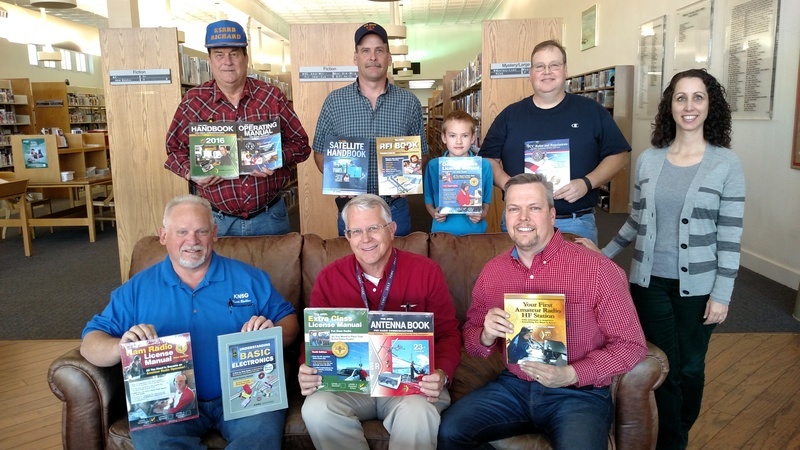 The club voted to donate the books in order to promote electronics knowledge and skills and increase the awareness of the role amateur radio operators play in public service and emergencies. The books can be checked out or requested at any of the library's four locations in the county. The club also donated study guides for each of the three levels of amateur radio licensee exams required by the F.C.C. The guides cover material in the Technician, General and Extra level exams. After using the guides, a prospective "Ham" can contact the club for help in scheduling an official testing session. Several club members were on hand to deliver the books and the library's assistant director, Michelle Zenor, accepted them on behalf of the library. East Texas Net now heard in Rusk Co.